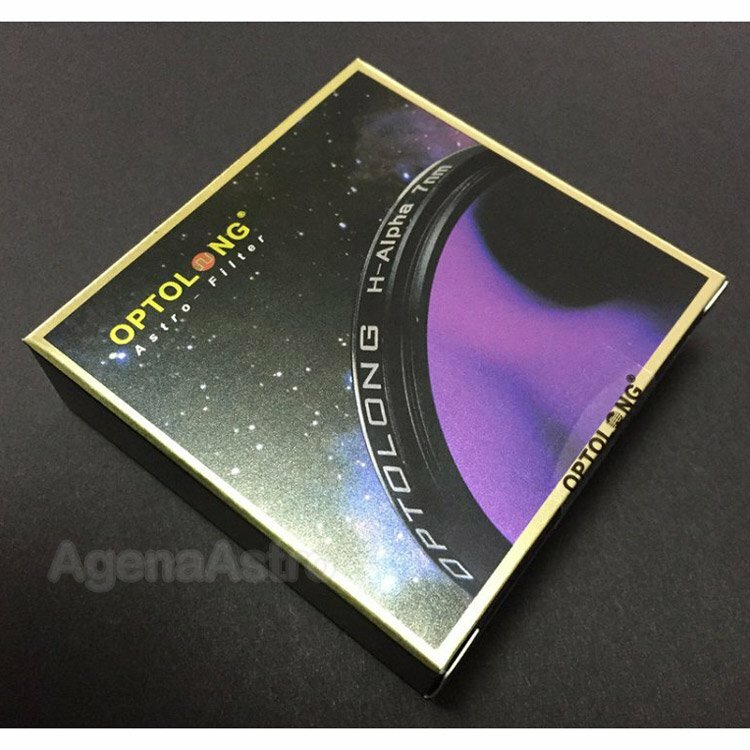 Optolong's UV-IR cut filter is designed to block ultraviolet and infrared wavelengths to improve sharpness of the image as most of the optics are designed for the visible spectrum, because it's very difficult to create a lens with the same focal point for the visible and IR spectrum. It is used on a digital camera and the video, which do not have an IR protection filter toward an image sensor or were remodeled. This is important because unfiltered CCD and CMOS sensors are extremely susceptible to UV and IR rays just outside the visible spectrum that can have a very negative impact on image quality. 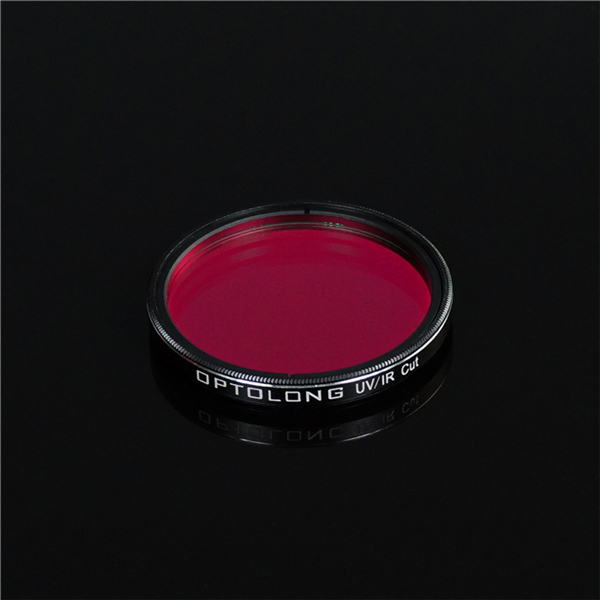 Suitable for color CMOS and CCD cameras and modified DSLRs. 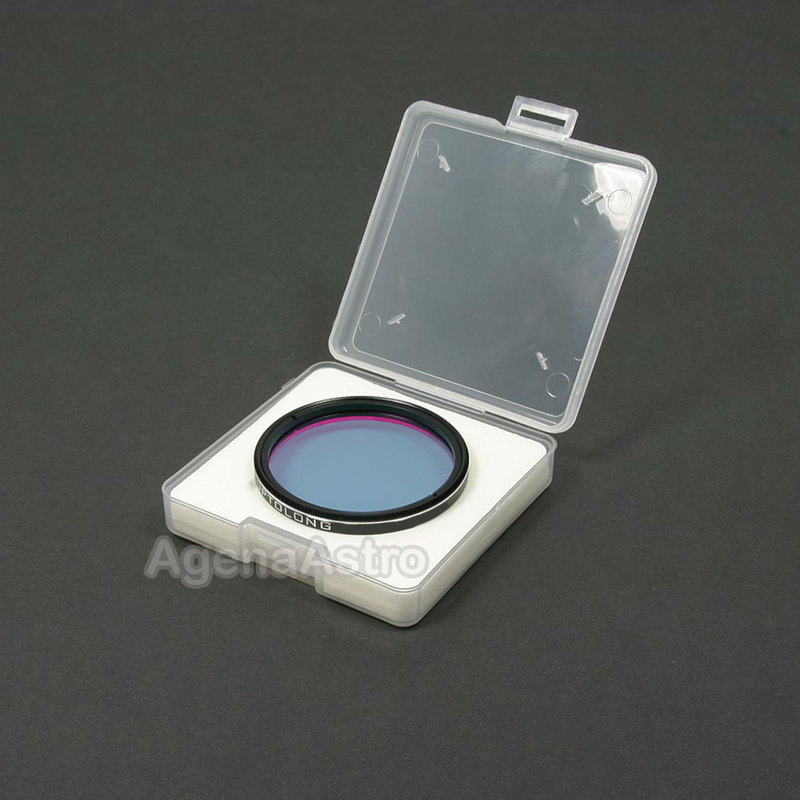 Use with monochrome CCD for astrophotography. 95% transmission at visible spectral region 420-680nm highly passing the major nebula emission lines of H-Alpha 656nm, SII 672nm and NII 654nm and 658nm. 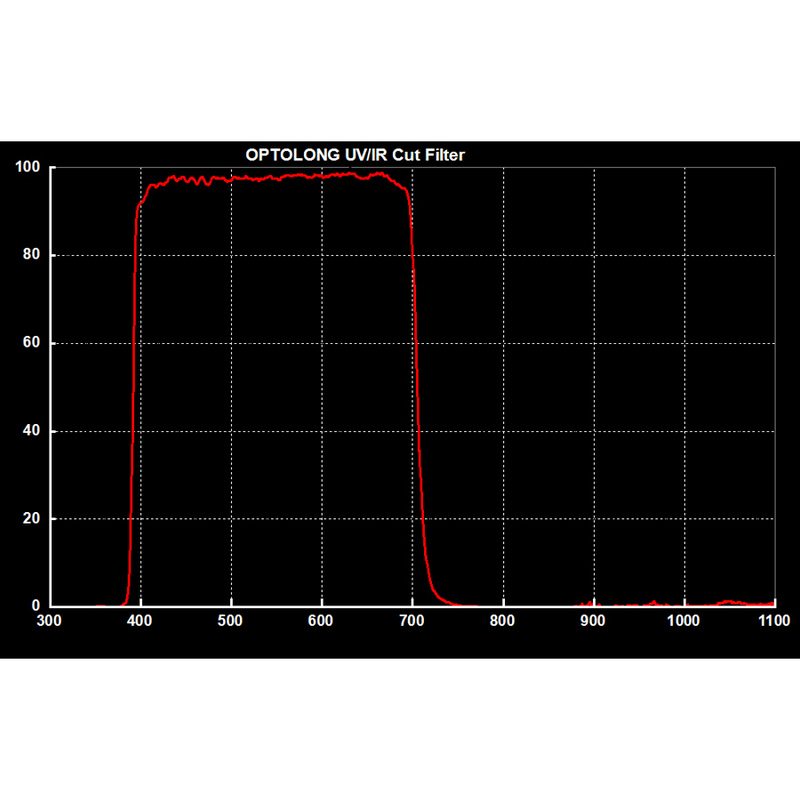 Ultraviolet 300-400nm and infrared wavelength 700-1100nm cut-off. 0.1% transmission of ff-band wavelengths.